I need a Tattoo. You might say to yourself. What ever reason you might have to get one, there is need for you to consider some fact about it. So before you go ahead and be recklessly inked, you should know that the motive for getting a tattoo might affect how you feel about getting one. To meany, the essence of their or wanting to get a tattoo may range from Memories, to Art. 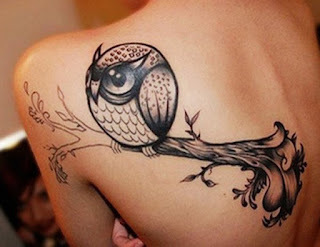 But when it come to tattoo, it is not all that encouraged to get your body inked because of that. Understandably, the thought of getting yourself tattooed over something you love can be sweet, but to think of, weight gain or even simple aging can stretch and distort a tattoo. Thus a once, admirable sweet looking tattoo might not be so pretty years later. And there is more. Tattoo can become outdated. This so because as people age, their views change, their tastes change, and their affections change—but their tattoos do not. Thus a once nice piece of art that made you get tattooed over, might years later to you seems childish, awkward to be seen with or even repulsive.